Lately it feels like Goldman Sachs just cannot get enough of the front page. The bank that CEO Lloyd Blankfein describes as doing "God's work" added yet another subpoena to their burgeoning file yesterday. This time, the Financial Crisis Inquiry Commission (FCIC) subpoenaed the bank alleging that they failed to provide key documentation and witnesses in several cases, despite repeated requests since January. Add the SEC's recent—and ongoing—case accusing them of fraud related to the subprime mortgage market and you have a bank that is flailing in a marketplace and a profession that operates on trust. BP has occupied even more new space in recent weeks with the blogosphere going berserk with all the sudden disclosure of internal practices: should we concentrate on BP or Goldman Sachs? There's too much going wrong with two of the most revered institutions in the country. Forbes' CSR blog ran a series on the oil spill and BP's culpability as well, penned by various staffers of Corporate Responsibility Magazine, questioning in turn, reputation, brand management, risk analysis and accountability. A recent article by the Wall Street Journal's finance job site FINS puts it in perspective. Discussing Wall Street's sudden change of heart, it reports: "Wall Street firms have intensified their corporate social responsibility efforts dramatically over the last two years, pushing their employees to volunteer more of their time to charity in an effort to combat fiercely negative publicity," adding a quote from a former staffer at Goldman Sachs: "…though nobody is forced, there is some not-so-gentle nudging to go out and volunteer..."
Historically, both companies have had an emphasized history of being known for their goodwill and social work: BP for their advertising campaign Beyond Petroleum, which has been responsible for numerous accolades and high rankings; and Goldman Sachs for their leadership development programs, high employee happiness quotients, and enormous prestige among financiers. What they haven’t exactly been known for is their corporate responsibility, or the wider principle that stretches to diversity, workplace safety, ethical business practices, transparent operations as well as sound people governance and long term strategy. WSJ's Deal Journal took up the comparison between BP and Goldman Sachs. Deltek's EVP, Treasurer and Chief Financial Officer Michael Corkery gave Goldman Sachs the thumbs up noting that BP will require more damage control because of the immensity of the environmental disaster. WSJ Editor Stephen Grocer took the opposing view opining that because the banking industry operates on trust, it will be a steeper climb for Goldman. 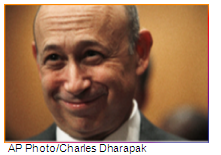 He writes: "The damage to Goldman’s reputation extends beyond its share price. Its business depends on its reputation. For the oil industry, image problems tend to have little impact on sales. 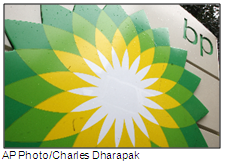 If BP lowers oil prices, U.S. consumers will likely buy it." "Goldman Sachs, that has been the subject of much abuse from the media and consumers for its bonuses and risky investments, surprisingly, took the top spot here. Take a look at this excerpt from our 2009 Top Banking Employers survey: "Teamwork, consensus building, corporate citizenship and meritocracy" are Goldman’s buzzwords, and insiders boast that "it's a culture of integrity and character, where people genuinely value the perception of the firm." With employees clearly enamored with the bank's management style, maybe it shouldn't be such a surprise that outsiders feel the same golden glow from the mega bank as well? In the worst possible year for investment banks, Goldman retained its No. 1 spot from 2009, while the other top four all changed hands. Perception problems or genuine regard?" Like Grocer says, however much we might dislike BP, if their gas station advertises low prices, there's no debate about consumer choice. While public distrust can damage a company's brand forever, the American public isn't discerning enough to give corporate responsibility priority over cost, especially given the current economy. As the disaster continues to unfold carrying along with it blame games and an abject rejection of accountability, it is easier to let the environmentalists and sustainability advocates do the protesting and eulogizing. After all, the economy is barely recovering, jobs remain scarce, and budgets are tight. If BP sells cheaper gas, customers will continue to return. As will job seekers. Arguing For an Integrated Annual Report: Too Much Data, Too much Irrelevance?